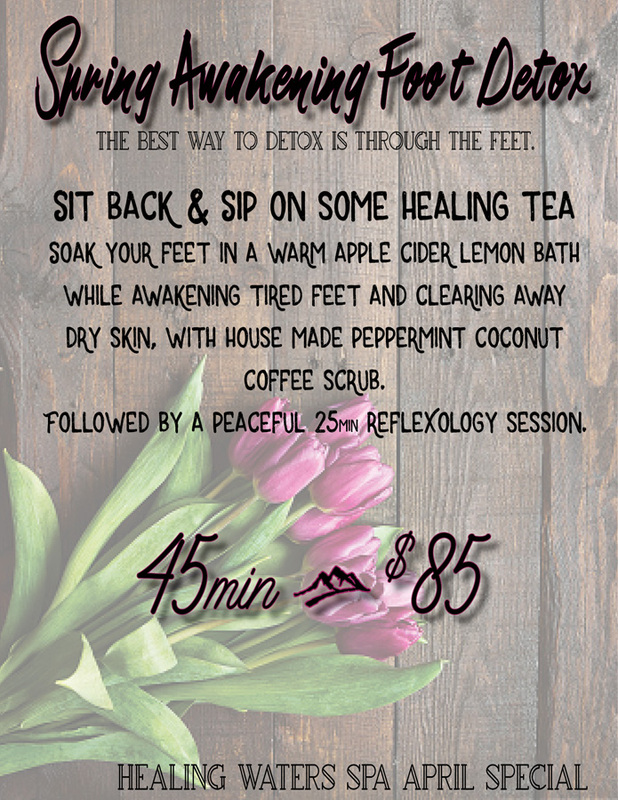 This month we are starting spring off with an awakening foot detox, which is known as one of the best ways to detox! If you haven’t already booked your appointment, call (800) 594-0178 to schedule your relaxing detox today! Join us to feel rejuvenated and ready for sandal season with a soak in a warm apple cider lemon bath and a scrub with our house made peppermint coconut coffee scrub. Followed by a 25-minute peaceful reflexology session.